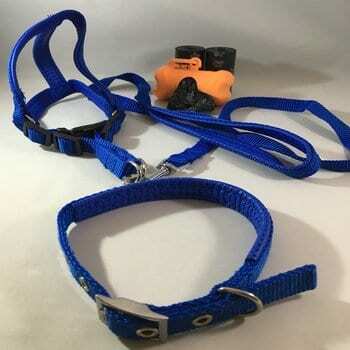 Strong and durable Nylon Dog Collar with nickel plated buckle and D Ring. 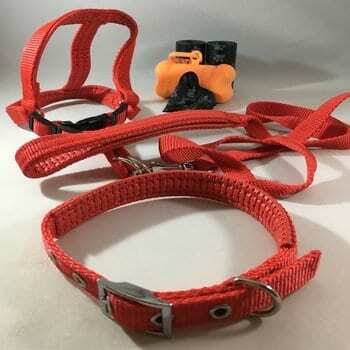 The collar features a padded section for dog’s comfort when on lead. 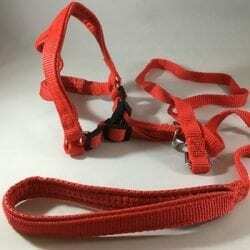 Harness has four adjustable clips that allow adjusting the back, chest or underbelly very easy. 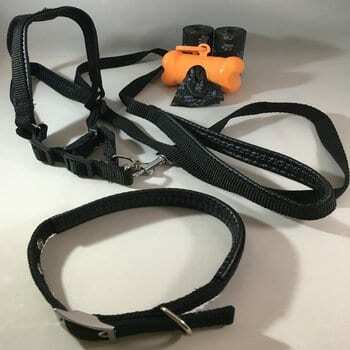 For comfort of the dog the harness is padded and for the walker the handle of the lead is also padded with a soft PVC foam. 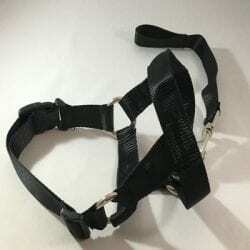 ** Although the measurements quoted are fairly accurate please allow an error of a couple of centimetres as the products are made by hand there maybe some discrepancy in the size. Made of plastic and comes with a ring hook for convenience to carry. 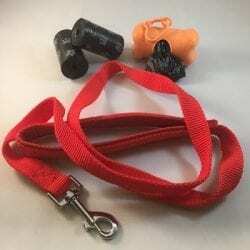 Houses a roll of large black doggie clean-up bags with paw print design – 20 bags per roll, plus two extra replacement rolls. The plastic in the bags is biodegradable and is extra strong with a thickness of 15 microns, a convenient way to make pet waste removal easy.